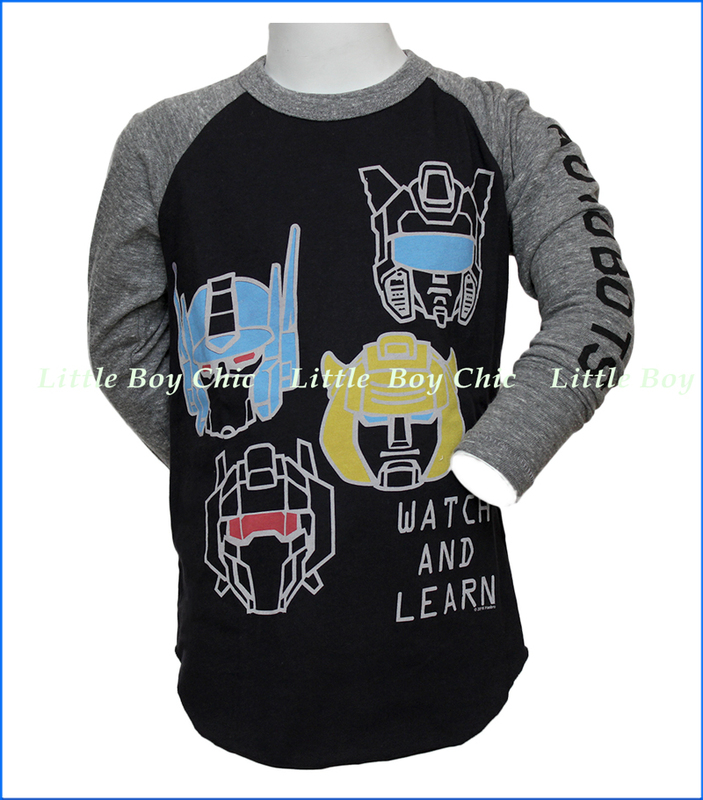 True Transformers-heads will appreciate this throw-back styled raglan t-shirt. The graphics feature Optimus and other Autobots in bold line outlines and contrast color detail. Super soft hand feel. Ringer crew neck. 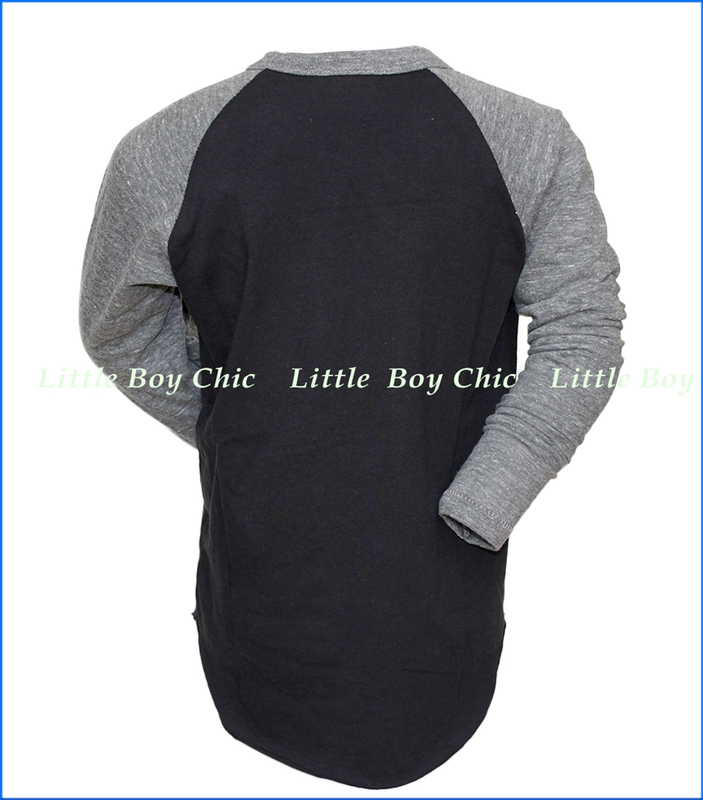 Shirt tail hem for untucked wear. Long sleeves with graphic "Autobots" text on left hand sleeve.